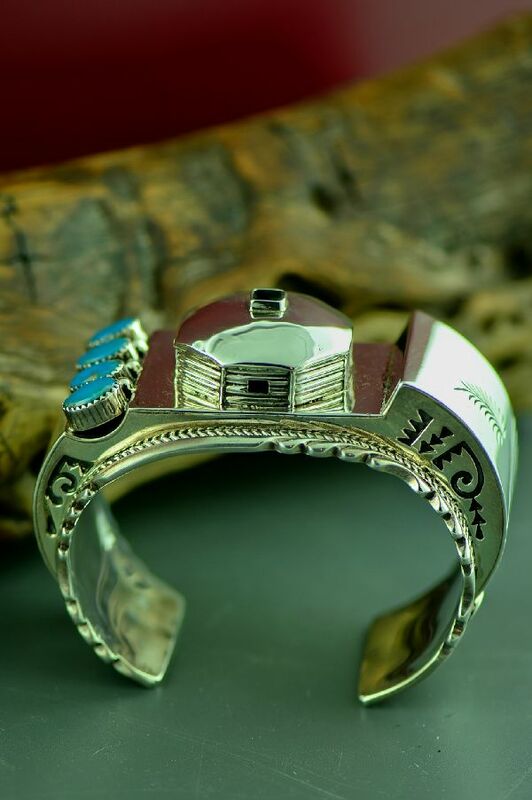 Are you looking for that unique piece to add to your collection? 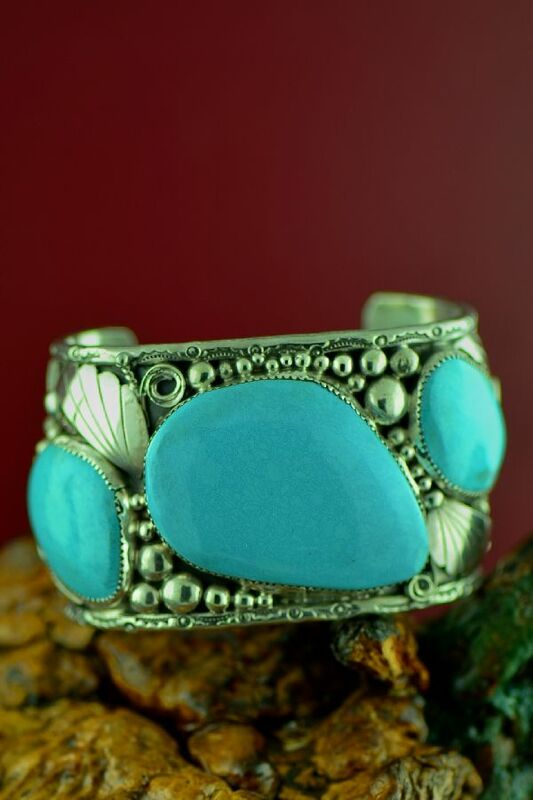 This incredible Castle Dome Turquoise bracelet is handcrafted by Navajo handcrafted and signed. 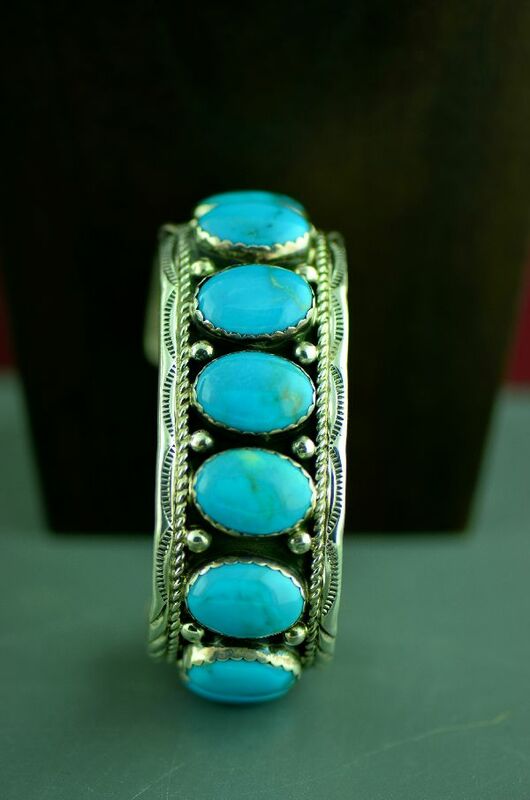 It comes from a Private Collection of work that has never been worn. 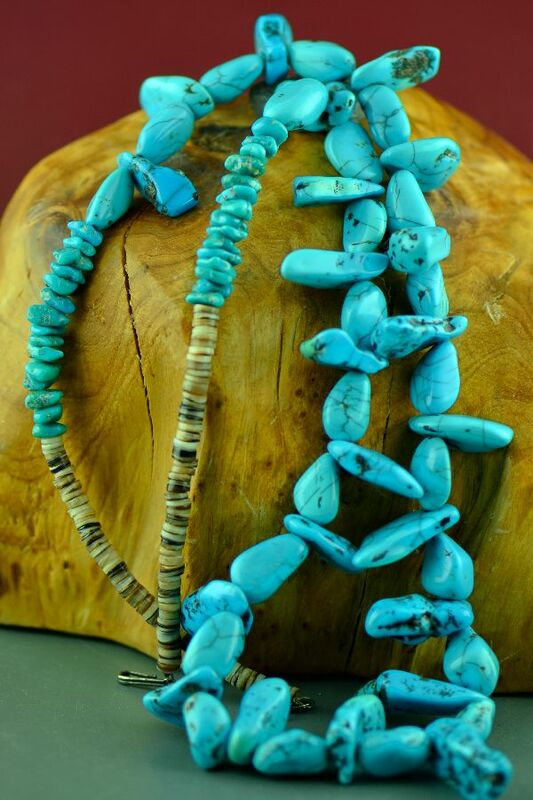 The artist has selected wonderful Castle Dome Turquoise stones to create this piece of art. 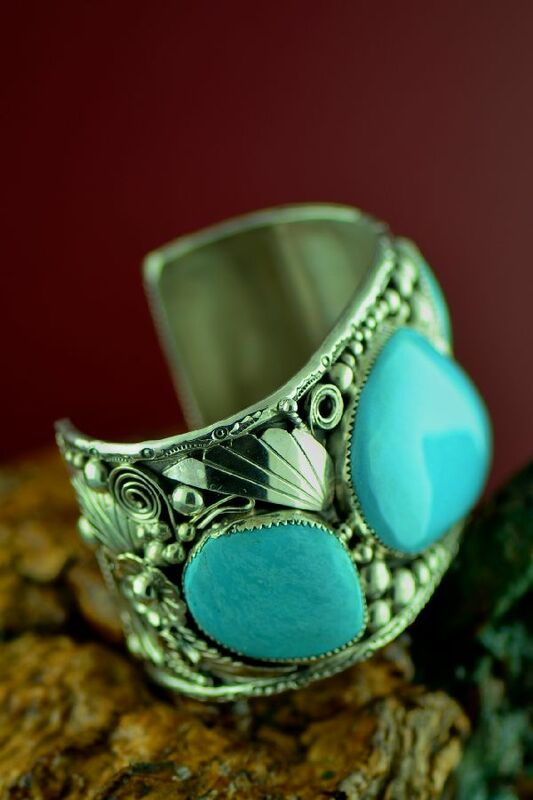 The Castle Dome Turquoise stones are set in a saw tooth bezel surrounded by wonderful silverwork that includes silver balls, leaves, rosettes and swirls. 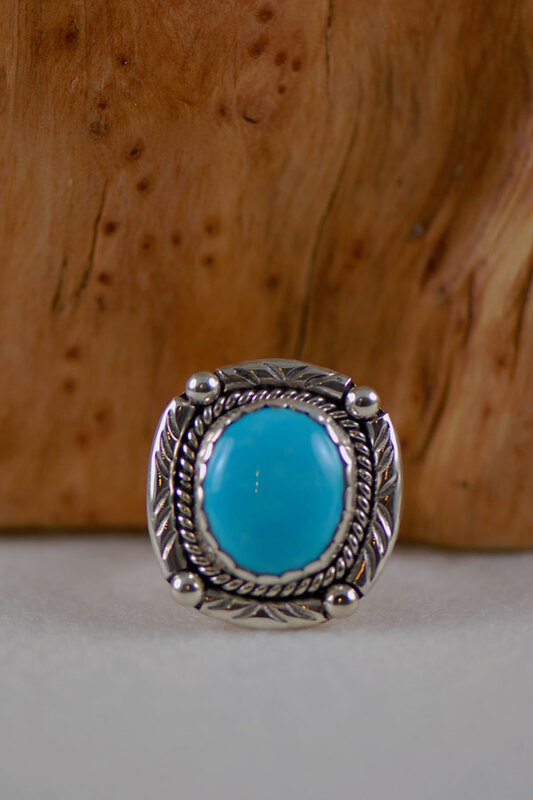 There 3 beautiful stones vary in size, the center stone measures approximately 1-1/2” tall by 2-1/8” wide. 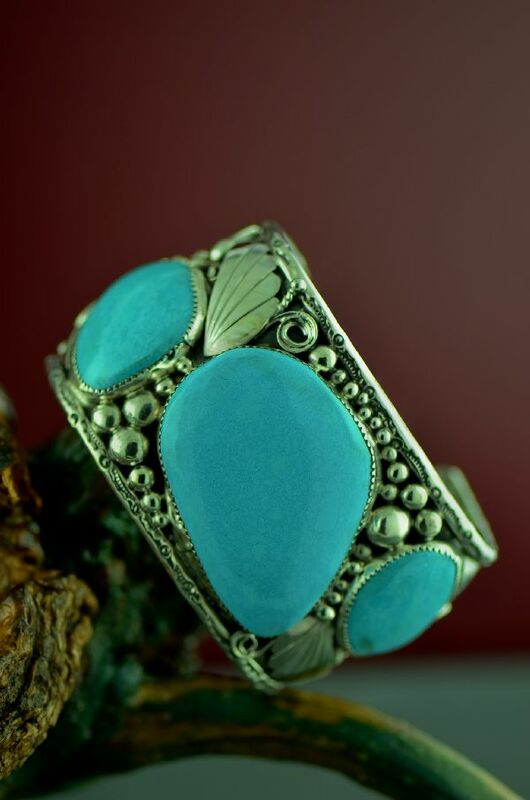 The two side stones measure 1” tall by 1-1/8” wide. 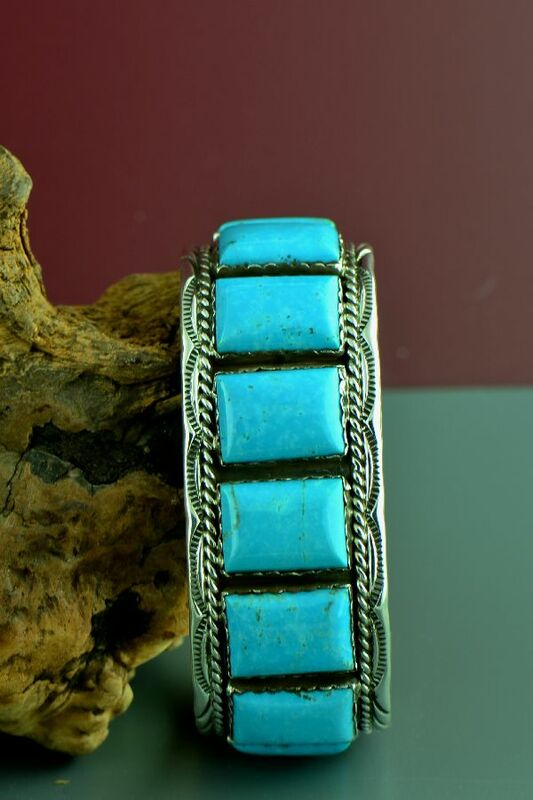 This bracelet is 2” wide and will fit a 7-1/2” wrist with a 1-3/8” opening. 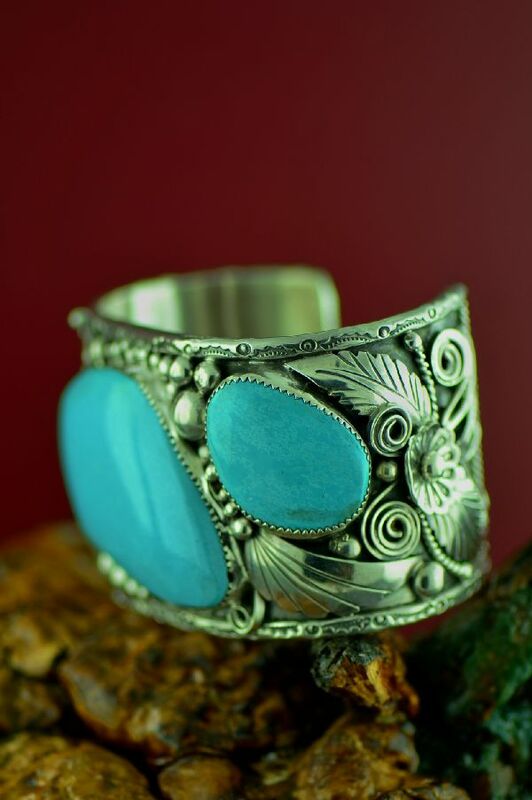 It is adjustable up or down which means this will actually fit a wrist from 7-1/4” to 7-3/4”. 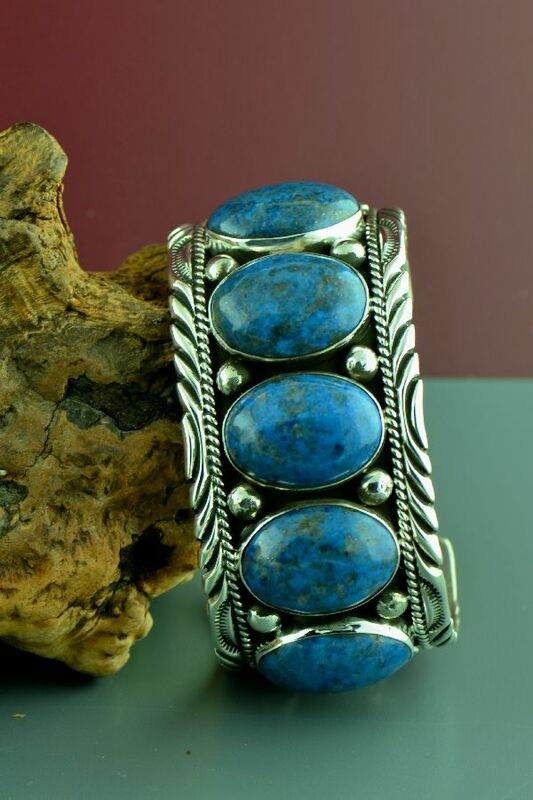 This bracelet is made of heavy weight silver. It weighs 150 grams or 5.3 ounces. This piece is signed by the artist, it signed with spider hallmark.